Welcome to the home of the Rock Institute on the internet. Please use the tabs along the top of this box to navigate your way around the site. 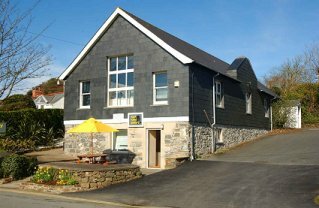 The Rock Institute is a building in Rock, Cornwall that is available for rent for events of all kinds such as birthday parties, discos, meetings and business conferences. This website is provided to allow you to find out more about the institute and to check availability for the available facilities. A car park is located along the side of the building and provides space for upto 20 cars. Our address, location and contact details can be found on the contact us page. This website can also take your booking requests, providing the period you wish to book is not already taken. Booking requests are sent to the manager for approval before they become approved. The availability page can also be used to find upcoming events at the Institute, some of which will be open for public attendance. 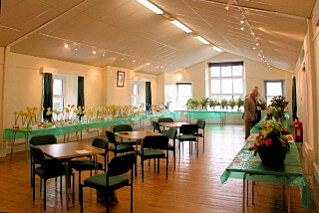 Examples of public events are art and craft exhibitions. The next public events at the institute are listed below.